Great news! I've confirmed the dates for the next upcycling workshops with the North Vancouver City Library. These workshops are being funded by the Neighbourhood Small Grant I received. Super exciting and I feel very grown up. We'll be upcycling items found in your household recycling bin - cereal boxes, tissue boxes & toilet roll tubes. Add some scrap paper/fabric, old magazines, buttons, etc. There's tons of nifty things we can make! More info to come! I'll post more details closer to the event. Culture Days is from September 27, 28 & 29. 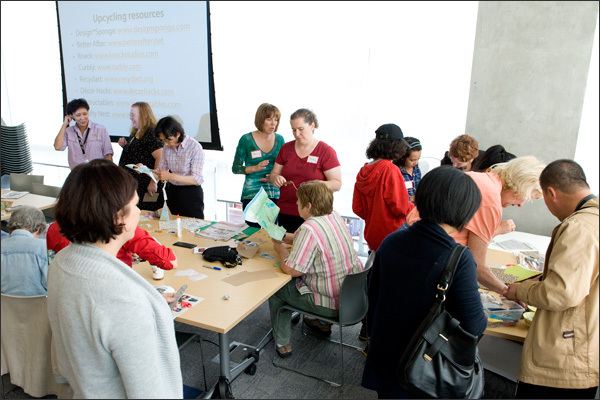 I'm partnering with the North Vancouver City Library again on an Upcycling Workshop. We'll be offering crafty projects that focus on storytelling through craft. Details to come! Check back for further details or visit my TBD News & Events page.